You work hard on building a business. So hard, you often get lost in the hustle. It's time to end this. 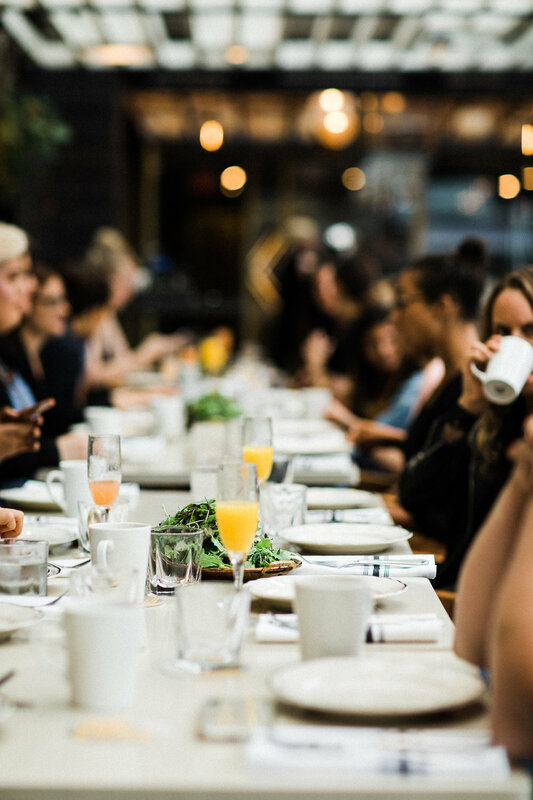 The Boss Babe Brunch brings together Toronto's bold and unapologetically vulnerable creative community to put their businesses to the side and take time for themselves. Creating space to cultivate authentic relationships with one another and celebrate their diverse lives. Each brunch event brings something unique and different to the table, whether it's a unique dining experiences or a motivational conversation with a rockstar community member. To learn more, check out content from previous events or sign-up to join us at the next brunch! Stay tuned for details regarding our next Boss Babe Brunch, happening May 2019. Subscribe to #TheSequoiaLife and be the first to know when details are announced. Welcome mimosas, 'gramable venue, and a fireside chat with Lauren McPhilips of This Renegade Love. Discover video and photos from the inaugural Boss Babe Brunch by Alice Xue Photography.